If you’ve ever wanted to experience Tablet computing powered by Google’s Android operating system here is your chance. 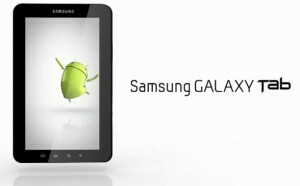 This week Web AddiCT(s); are giving away a Samsung Galaxy Tab to one lucky reader from South Africa. Before telling you what hoops you’d have to jump through to get your hands on the Galaxy Tab, for free, let me first let you know what makes it different to other Tablet devices. You can expand the size of the Galaxy Tab’s memory using a micro-SD card. You do not have to buy a new one just because you require more space. Seeing that it has a sim card, you can actually use it to make a phone call. Can you believe it? A Tablet device that functions as a mobile phone too. With Google Maps Navigation now working 100% in South Africa you can use the Samsung Galaxy Tab as GPS device while driving. Yes, free GPS navigation. The ‘Readers Hub,’ Samsung’s unique e-reading application, provides easy access to a vast digital library – from classical literature to the latest bestsellers and reference materials. It also provides users access to a variety of magazines and newspapers from around the world. To win yourself a Samsung Galaxy Tab tell me (in the comments) one of the South African newspapers or magazines are available on Reader’s Hub? It took me only one Google search to find the answers. It shouldn’t be that difficult for you. Seeing that the number of South African Magazines & Newspapers will be far less than the competition entries you may also provide one fact about Reader’s Hub as your entry. Competition closes at 23:59 on 21 August 2011. Once you’ve entered feel free to Tweet this and share on Facebook. Good Luck. Here is a video that explains Readers Hub.